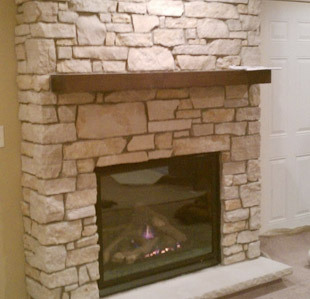 A sandstone fireplace is an amazing addition to your interior space. Whether it is a contemporary or classic setting, sandstone fireplace can be effectively used in both the decors in various colors, designs, finishes and styles. 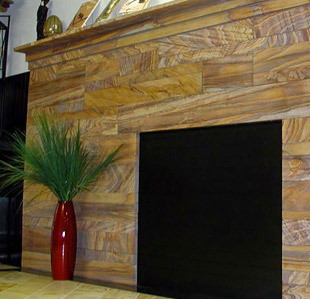 Though natural sandstone is mostly used for outdoor applications as pavers, stepping stones and ornamental articles, it is still a popular choice for creating fireplaces inside homes around the world. It is easy to work upon, thus can be given desired shape, design and finish with ease to produce a range of natural stone products. To buy quality sandstone products, both in standard and customized size, design and finish, you can contact the globally reputed Regatta Universal Exports, a major manufacturer and exporter of sandstone from India. With numerous products being processed at its very own sandstone factory in Rajasthan, Regatta Universal Exports offers a variety of sandstone products at very competitive prices. 1. Sealant: Natural sandstone is a soft rock and also porous. So, it is suggested to seal your sandstone fireplace with a good-quality and sandstone-specific sealant annually or biannually. Sealants usually wear away after a certain period of time; hence need to re-be applied after regular intervals. 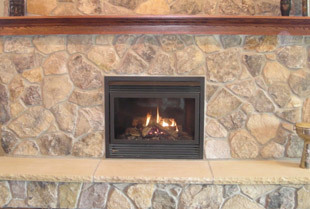 A sealed sandstone fireplace would not allow fluids to penetrate deep inside the stone and also remains stain resistant. 2. Regular Cleaning: Considering the cleaning of your stone fireplace as part of your daily household chores is always a great idea. This keeps it good looking and spotless. You can use a dry mob with soft fibers to dust away dirt and debris. Occasional brushing can also be done to make it look new all the time. 3. Rigorous Cleaning: A deep cleaning exercise should be performed once a week to remove smudge and grime. For this, you can use a sandstone cleanser with water to clear away grime and dust from its surface. For effective dirt cleaning, a brush with soft bristles can be a decent option. 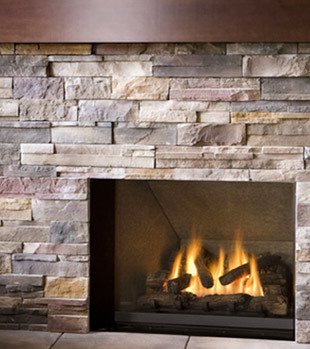 A thoroughly clean fireplace ensures safety and high performance. Note: Any soap solution should be avoided for cleaning as its residue might dull the appearance of your stone fireplace. Alkaline, acidic and ammonia-based cleaning agents are also to be avoided as these might damage your stone fireplace and cause mildew to develop. 4. Soot Removal: To clean off soot, you can use a stiff brush. While doing this, wearing a mask and gloves is a good practice. Prepare a solution of lukewarm water and natural stone cleanser. Use a paintbrush dipped in the cleaning solution to clean off the soot from the fireplace surface. After 30 minutes of applying the solution, rinse the sandstone surface with light warm water. 5. Stain Removal: Make a solution of one-fourth cup of trisodium phosphate (TSP) and nearly half-a-gallon water. Using this solution, thoroughly clean the stone fireplace using a soft brush. Scrub a little while applying the solution, and then allow the solution to rest for 15 minutes. After this, rinse the surface with water and dry it with an old towel. It is highly recommended to wear gloves and mask while working with TSP to protect your skin and prevent hazardous fume inhalation, respectively. 6. Scratch Removal: Though not completely, sealer might wear away from some areas even within a short span of time. This could occur due to surface impact or by using a harsh/abrasive cleaning product. The unsealed areas easily get scratched. A polishing stone is a good option to get rid of such minor scratches. Surface stains can also be effectively removed using a polishing stone. We can now conclude that by following these six tips can effectively help you to keep your sandstone fireplace immaculate, beautiful and long lasting.